Is 2019 the year you think you’ll move? 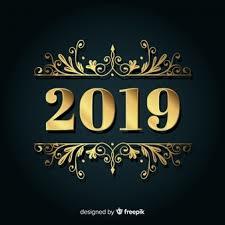 You are here: Home / News / Information for Sellers / Is 2019 the year you think you’ll move? It may surprise you to discover that you’re not alone! You’ve lived in West Windsor or the greater Princeton area for many years and are thinking it’s time to move to warmer climates, follow the kids who have taken jobs in other states or perhaps you want to try the travelling lifestyle for a few years before deciding where to settle down. This scenario is one we’ve encountered a lot over the past few years and we’re starting to hear that folks want to try out city life and sell the suburban home to buy or rent an apartment in either Philadelphia or Manhattan. When preparing to put your house on the market, be sure to educate your listing agent on all its unique qualities. In addition to an overview of your house, your listing should also include information on neighborhood schools, restaurants, proximity to transit and shopping, and more. After all, when you buy a home, you do not just buy the house; you buy a community — neighbors, parks, stores and schools. West Windsor enjoys so many of these wonderful components and to this extensive list, we add that we’re just 45 minutes from some of New Jersey’s greatest beach towns, home to the extensive Mercer County Park system, the Kelsey and McCarter theaters and gorgeous mountains for hiking and biking! Whether your family includes school-aged children or not, the NAR® survey highlighted the need for homeowners living near to highly-rated schools to include that information in their listing: over two-thirds of survey respondents indicated that highly-rated schools were either “very” or “somewhat” important in their home-buying decision. According to data compiler, Niche in its 2019 rankings of the top 100 New Jersey schools, West Windsor Plainsboro schools rank third in New and Princeton came in at number two!! This is definitely something that should be noted in every marketing piece! For an in-depth discussion of the state of the local market, please call today to find out what else to include in your listing, and how best to prepare your home for a swift sale in 2019 at the highest price possible. At Reilly & Calman, we leave nothing to chance, using a tried and true process of helping our clients prepare and market their homes to a local, statewide, national and international marketplace. Call us and join the hundreds of successful home sellers who have benefitted from our decades of experience and use of today’s cutting edge data mining technology!